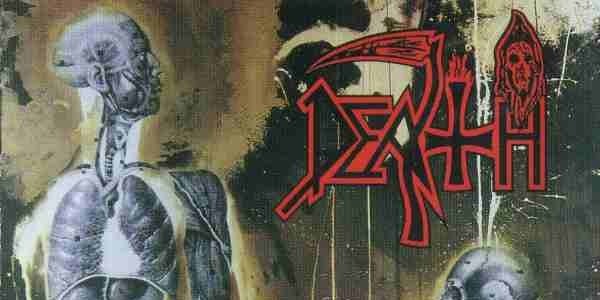 Home » Features » 10 Old-School Death Metal Albums It’s Impossible To Live Without! Chuck Sculdiner changed the landscape he originally helped to mould when Death released Human in 1991. Out went the gore and in came the intelligence, Chuck dismissing the lump-headed violence of old and embracing an introspective, humanistic approach. Backed up by a formidable death metal supergroup in its own right, Chuck and guitarist Paul Masvidal (Cynic), bassist Steve DiGiorgio (Sadus, Autopsy, Testament, Iced Earth) and drummer Sean Reinhart (Cynic) changed the face of death metal overnight and, alongside the influence of Atheist’s Unquestionable Presence and Pestilence’s Testimony Of The Ancients, birthed a new breed of technical, progressive death metal. Death’s flawless freedom of expression floored the majority of their peers with “Flattening Of Emotions”, “Lack Of Comprehension” and “Vacant Planets” particularly showcasing the diversity each band member bought to the table. Flurries of frenzied riffs and intricate bass and drum work competed with jazz-fusion passages of improvisation while still maintaining the backbone of death metal; these were songs you could philosophise over while still head-banging to your head fell off! Savage ripping death/thrash from the edge of the abyss! Legendary Compilation DEATH IS JUST THE BEGINNING Returns! The legendary compilation is back! 3 Comments on 10 Old-School Death Metal Albums It’s Impossible To Live Without! Abramelin. Self Titled and Deadspeak albums. Check em out for ‘oldskool’. There are lots of old school albums in the genre I couldn’t live without. But I’m in total agreement with these. All genre defining masterpieces.